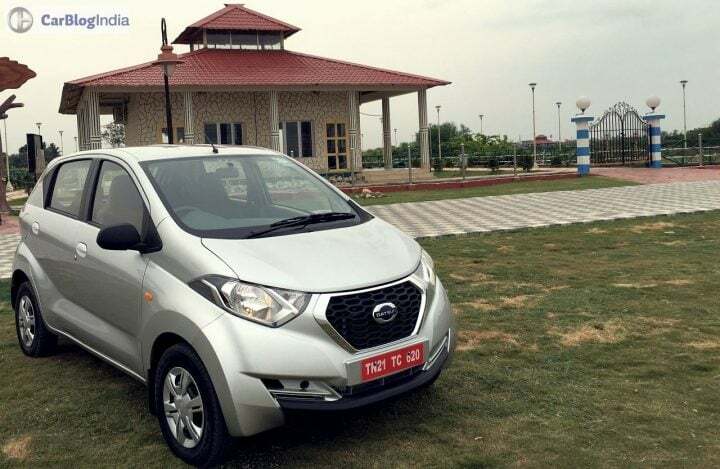 Datsun Redi Go – 10 Reasons to Buy! 4. Cheapest Car To Have LED Daytime Running Lamps! Admit it, we love cars with LED DRLs! And the new Datsun Redi Go becomes the cheapest cars to sport these. The top-end trim, the Redi Go S, gets a set of LED Daytime Running Lamps. Now, the second lowest priced car to have DRLs is Mahindra KUV100, which costs almost twice! 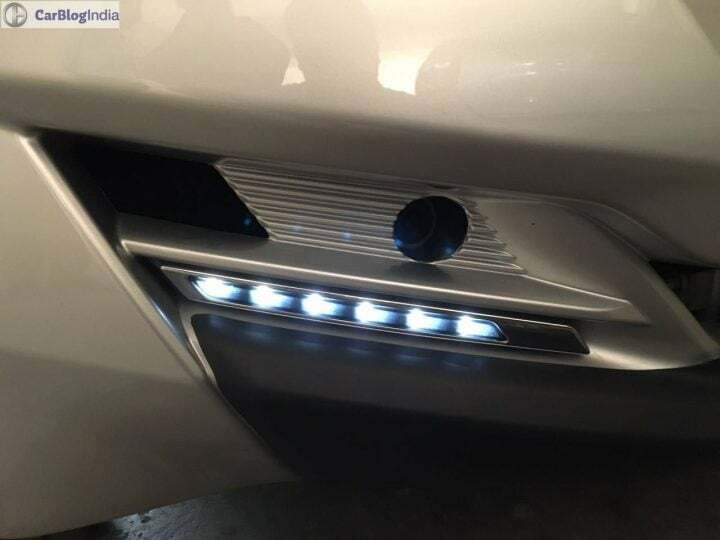 The LED DRLs enhance the cool quotient of this already well-styled car. What’s more? DRLs also play an important role with enhancing the road safety. Thanks to these lights, it gets easier to get noticed on, say, a rainy day. 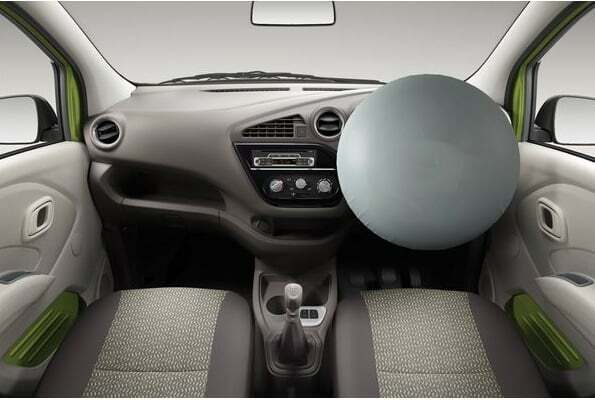 Ok, this has got more to do with complying to the laws but the Redi Go’s top-end model also offers a driver-side airbag. As is obvious, this makes the Redi Go a pretty safe car. We have always believed that passive safety features such as SRS Airbags go a long way in saving lives. We are happy that a low-priced car like the Redi Go gets an airbag. The Redi Go is a compact car but it offers a really airy cabin. Thanks to a height of 1,541 mm and light colour tone of the upholstery, the Redi Go’s interior feels pretty airy. The Redi Go can seat 4 full-grown adults in reasonable comfort. Even the boot space, which is of 222-litres, is more than that of the Alto. The new Datsun Redi GO offers a warranty of 2 years/unlimited kms. Generally, car manufacturer offer a warranty for not more than 50,000 KMs. 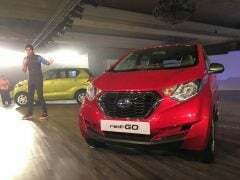 But with an unlimited KMs warranty on the Redi Go, we feel that new car buyers won’t have any problem trusting Datsun, which is a relatively new player in the market. Also, this is a sign of the amount of trust Nissan-Datsun has on its product. Of course, it is ultimately the customer that benefits the most from all of it. It’s not just thru segment-best warranty that the manufacturer hopes to win the trust of Indian entry car buyers. 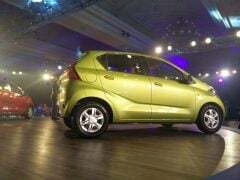 Datsun is also offering a free road-side assistance package to the buyers of the Redi Go. So in case your Redi Go breaks down in an unfortunate event, you won’t be left stranded on road for long. Help will be just a phone call away! Another thing that impresses us is that high seating position that this car offers. The driver of the Redi Go gets a pretty commanding view of the road. which is something that should impress fans of SUVs. A high seating position that offers a commanding view gives confidence to the driver to squeeze into small gaps. It also instills a sense of pride, which is again something that SUVs are famous for. The Redi Go offers you a decent ride quality for a car of its size and cost. The suspension has been tuned well and it soaks in most of the craters with ease. A high ground clearance of 185 mm is another advantage that this car enjoys. 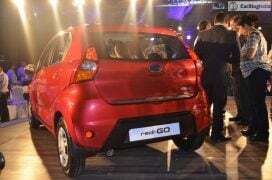 The Redi Go rides in a more matured manner than most of the cars of its size and cost. So these are the 10 reasons to buy Datsun Redi Go. Do let us know in case you want us to include another detail here. Also, what do you think of our list of Reasons to buy Datsun Redi Go? Do share your views by commenting below.